Non refundable deposit is required. 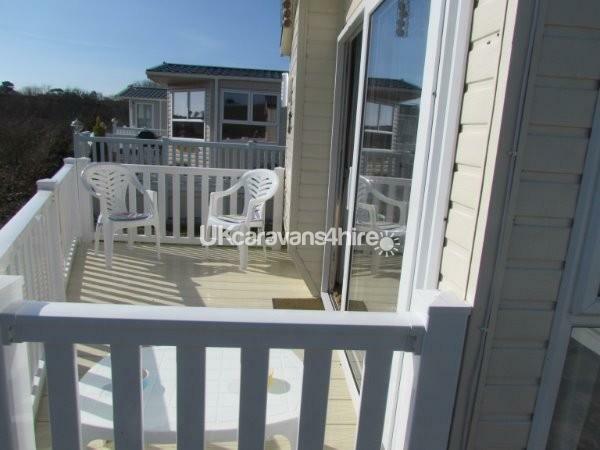 Our caravan is thought by many to be in the best position on the whole of Looe Bay Holiday Park. Patio doors from the living room open out onto a balcony overlooking the valley leading down to Millendreath beach, a 20 minute walk away. 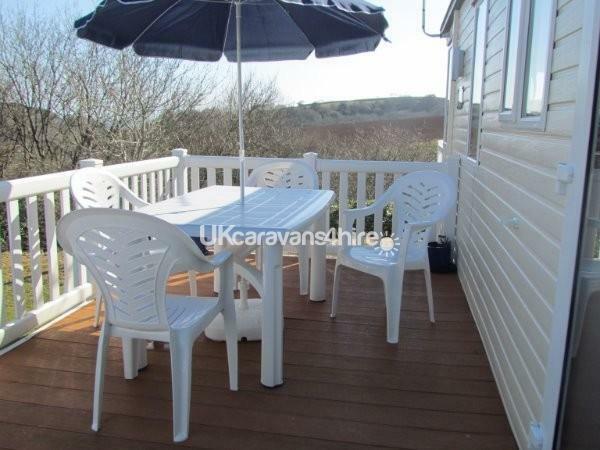 In addition to the balcony at the front there is a family decked area to the side which can easily seat 6 people for alfresco dining and fully lockable gate for extra play area. 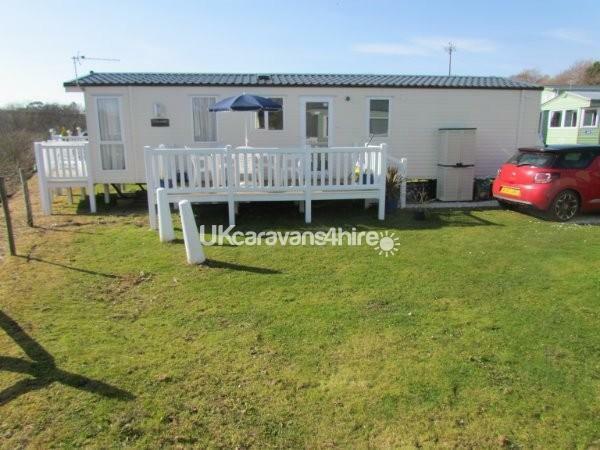 There is also a large private grass area to the side and private parking outside your front door. We believe the other benefit to this location being on the edge of the site means a peaceful night and in the morning a dawn chorus of bird song from the many species you will see from the caravan. To include rabbits and peacocks. Should you be in the mood for a night out it is only a short walk to night-life, entertainments centre, restaurant and bar. A fully stocked shop to include freshly baked bread and croissants. There is an indoor swimming pool along with tennis, football, basketball courts, crazy golf and children’s park. Should the need arise there is a launderette. In addition to the living room with its patio views there is comfortable dining for four and a fully functioning bespoke kitchen to include built in double oven, hob, microwave and fridge/freezer. The master bedroom is complete with king size bed and fully fitted wardrobes, ensuite wc and wash basin. This compliments the main bathroom with wc basin and full size walk in shower. 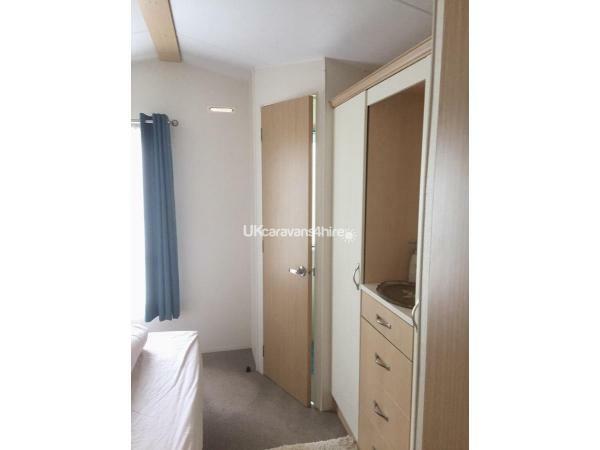 The second bedroom has two singles also with fitted wardrobe and cupboards over. Returning to the living room there is free Wi-Fi with SMART TV/DVD player, a selection of DVDs and reading material. Extra heat is provided from the fireplace. There is a double sofa bed if required. 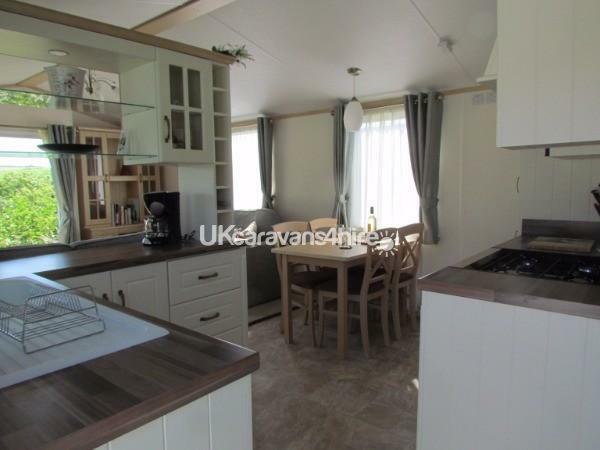 This caravan is modern and up to date with mains gas heating and instant hot water, electricity and drainage. Smoke detectors and carbon monoxide alarms are fitted. Complimentary toiletries, cleaning products and welcome pack on arrival. We had a lovely stay in this van. I couldn't fault anything. It was very comfortable & cosy. We had everything we needed. I enjoyed sitting out on the veranda looking at the countryside & watching the birds. Also Jill & Martin left a complementary bottle of red & white wine along with chocolates. Also there was toiletries available. Would definitely come back to this van. Thank you for your kind comments. We would welcome you all back and thank you for looking after the caravan too. Thank you so much for your comments and so pleased you enjoyed your stay. Nothing worse than being disappointed when it costs money and valuable timeout for a well deserved break. Hope to hear from you again. 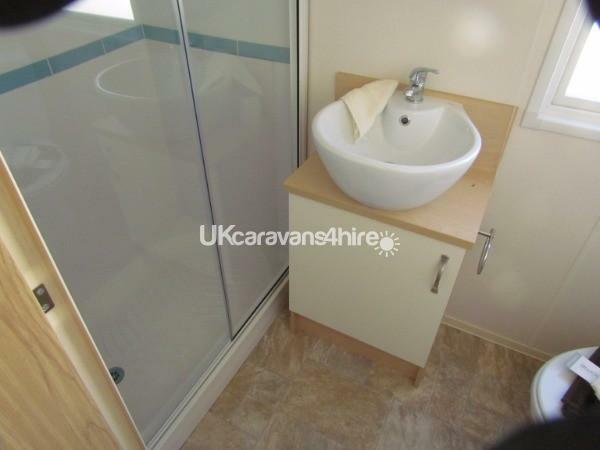 Fantastic, modern and spotless caravan. Everything you would need is provided. Great views from decked area, I especially loved watching the birds on the bird feeder while having my morning coffee. Even catching a video of a woodpecker! I would highly recommend Jill and Martin for a faultless booking process and for a lovely stay. We will be returning! You will be more than welcome to return. 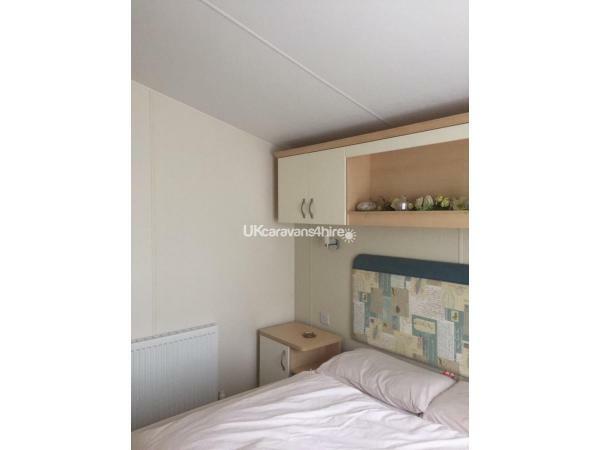 The caravan was also left in a spotless condition considering this was a family holiday with lots going on. My pleasure. Hope to hear from you again and thank you for leaving the caravan spotless. Wow is all I can say! Like the description states 'a home to home feel' very spacious, even for my 6ft 3 tall husband. 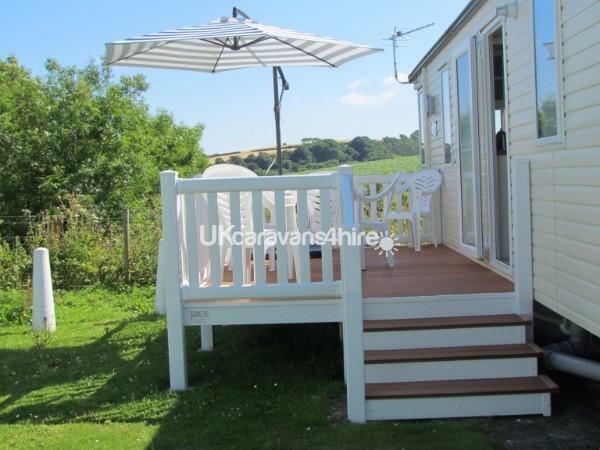 In the lovely & peaceful part of the park, over looking fields and treetops, the decking was wonderful to enjoy the view. Jill made the booking really easy and responded quickly to any questions. A huge thank you Jill and Martin for the lovely week away and for the special treats found on arrival. It meant a lot to us! We stayed here for a week. Very smooth and friendly booking experience as we did book quite late. 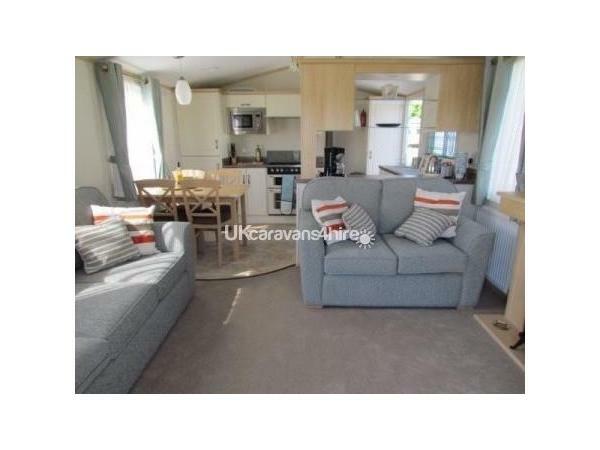 The caravan is in a great spot and we were thrilled to bits how lovely it was. Spotlessly clean and beautifully decorated. It was a real home from home and had all the items you would need. 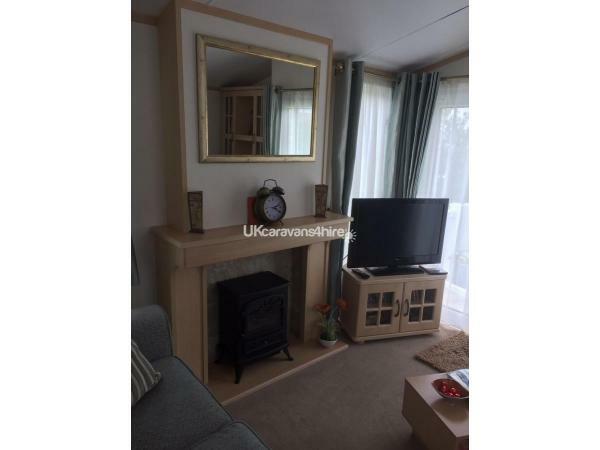 We have been on many caravan holidays and this was the loveliest we have stayed in. We used some of the facilities like the bar and enjoyed a couple evenings of entertainment which was shown later at night. The site staff were lovely and very friendly. We had 2 teenage boys with us who didn't have a great deal to do on the site however we did travel around a fair bit. There is a bus stop right outside the site which is very handy as the walk down to the town is quite steep and we didn't fancy the walk back up. 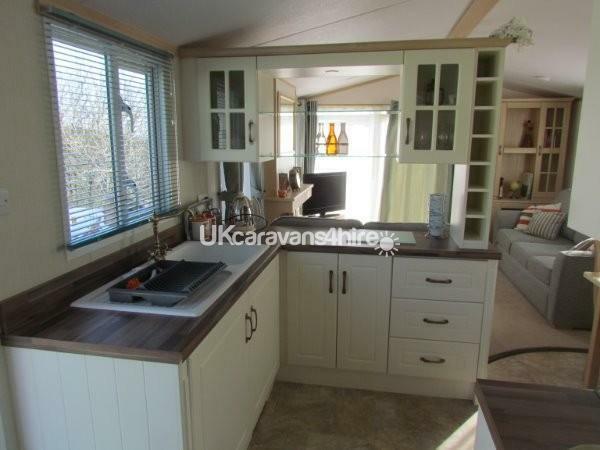 We would thoroughly recommend this caravan to anyone. Many thanks for a great stay and the lovely touches you provided. Thank you so much for your comments. It is good to know that you had a lovely time.